Finding quotes about love, fidelity, and chastity was much harder than I expected. I thought these quotes would be some of the easiest to find, but they weren't. However, I found two good ones that I love. 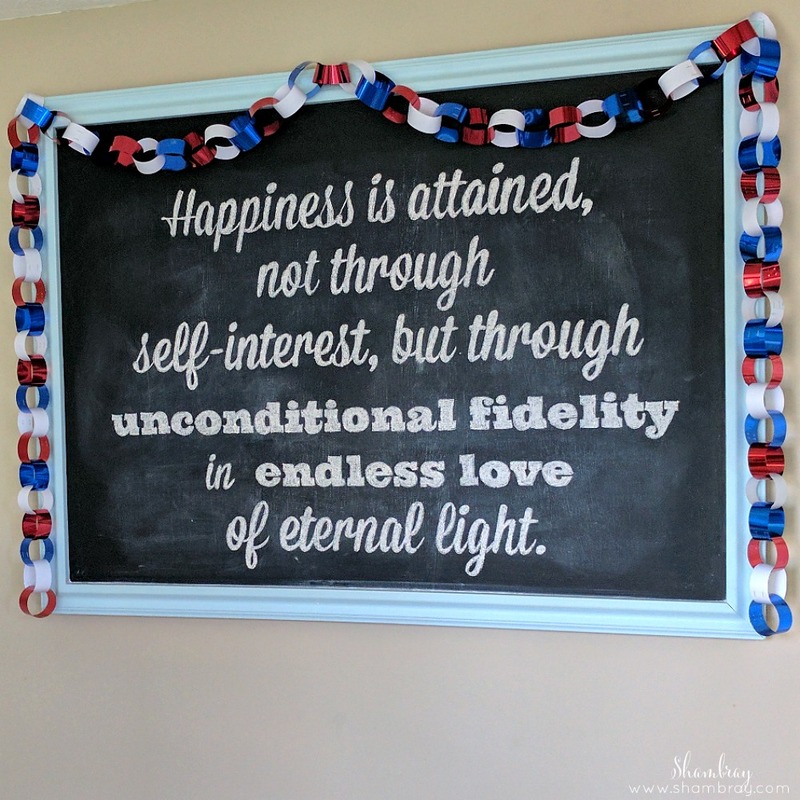 Once again I created a free printable quote about love, fidelity, and chastity plus I share an additional quote that is on my chalkboard. I like them because they really say what true love is. Am I right? Being chaste and having fidelity shows an immense amount of love for someone. These two values are not very easy to follow in today's world. I mean, there is a dating website for married people who want to have an affair. This might seem sad and sick and twisted, but it is the truth. I hate to see the disregarding of these values in the world around me; I still plan to teach my girls about them. Also, to remind myself why they are so important. 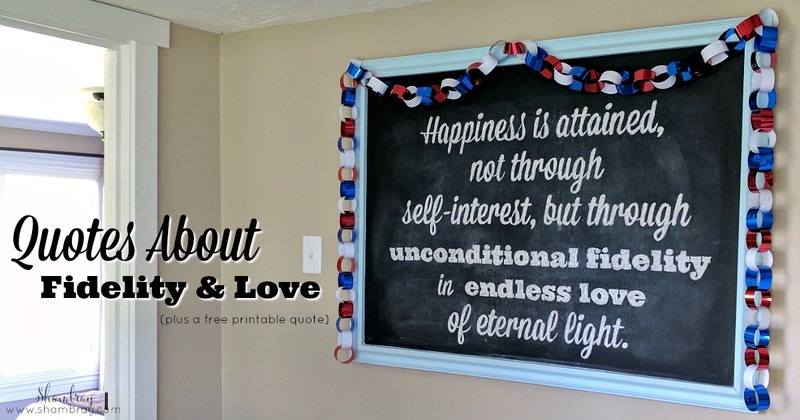 That is the exact reason I love to have these quotes displayed in my home. I like to remind myself daily and share them with others who come and visit us. This post is quite deep, but I love the message behind it. I usually try to do simple quotes, but like I said before they weren't easy to find. This one fit my criteria. Side note: this chalkboard art took me close to TWO hours! Can you believe that? Good thing it's therapy for me. 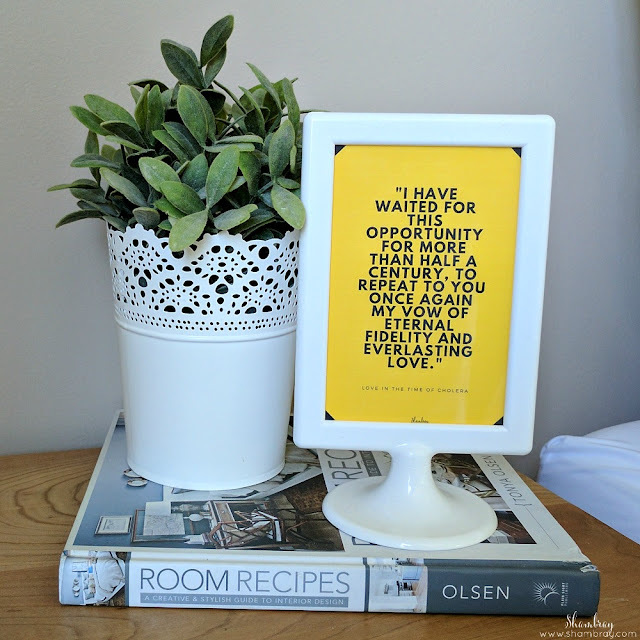 I placed this on one of the nightstands in my master bedroom. 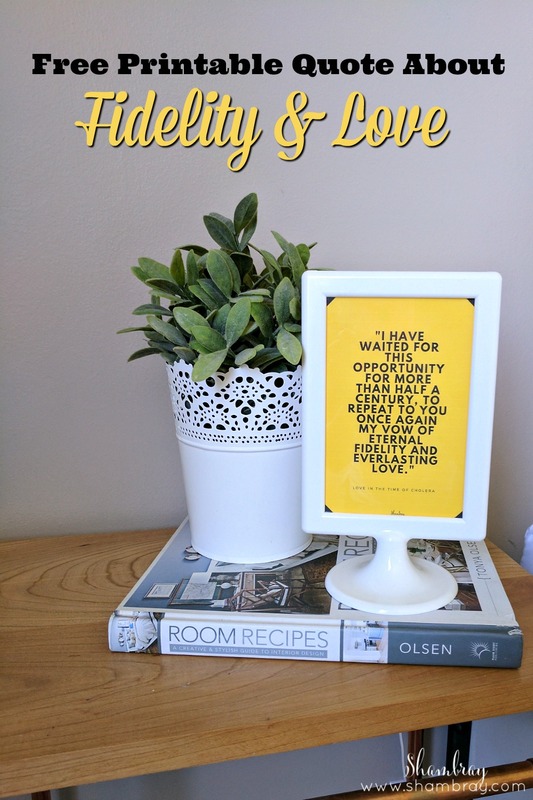 I love the meaning behind it and I love "vowing" my fidelity and love to my husband daily. I hope this can be a reminder for months to come for us. Note: For a copy of this printable please click on the picture above.